So it’s true. The world is not full of butterflies and rainbows and I won’t pretend that it is. My heart is heavy for all those affected by violence, hatred, judgement, and injustice here in the States as well as around the world. Being aware of all that is happening is important, but I refuse to let it harden my heart. Lately, I’ve seen a lot of anger, hate, and judgemental comments. But beyond the anger, I’ve also heard from a lot of people who are frustrated, disheartened, and people who have just lost hope. Her name is Lucia. Just like our son, our daughter’s name was chosen because of it’s significance and meaning, and the power behind it. It means LIGHT. We didn’t name her this so that she can see the light in the darkness, but because SHE IS LIGHT. That is what we are to be. We are to be Light. So I won’t hide behind words. I won’t hide behind anger and judgement. But I will move in action to bring Light to this world. I will move in action to share HOPE. I will help and serve those around me. I will help and serve those around the world. The happenings in this world do not make me want to run or hide, but to shine more, to serve more! I will not allow my perspective to be consumed by the darkness that exists, but to keep it on the LIGHT that shines through me. 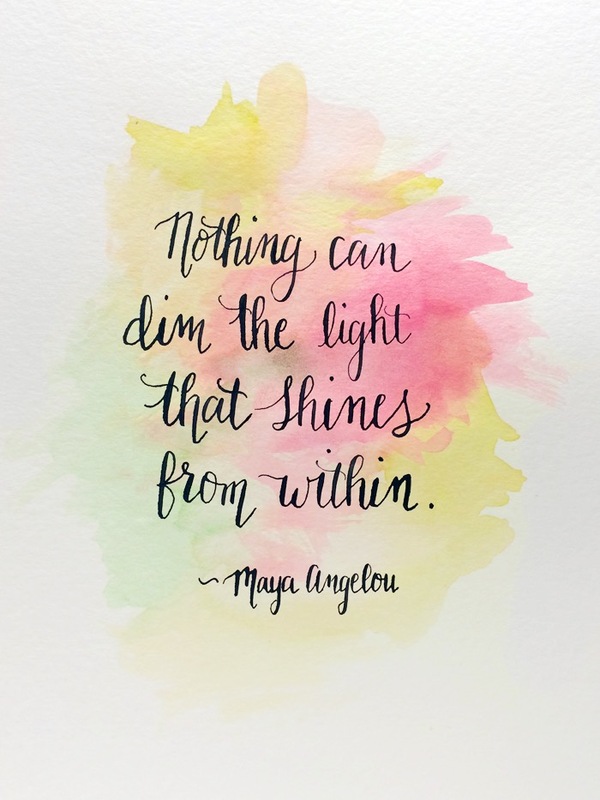 How will you let Light shine through you?…. It was one of those moments…those simple moments, that just made me think. I guess an hour or two walk will do that as well. You see the day started off with my husband taking my car to get an oil change before we head to a family reunion. He’s good at that! Oil changes are things I tend to forget or put off, or rarely get. jaja. I digress. It’s a beautiful day and instead of having our normal learning time this morning, I thought we’d take it outside. I knew there was a park nearby and was excited to walk to it and let my 2 year old play on the playground while I played with Lucia. I knew they would love it. I mean who doesn’t love the park? So this morning as I was packing everything to go I told Gabriel, “Get ready buddy, we are going to walk to the park this morning”. So I might have mistaken the distance from our home to the park. I can’t tell you how many times I kept thinking, I’m just going to turn around and go home. Let’s be honest, Gabriel probably won’t care. He’d be just as happy in our Toddler Lot in our complex. He probably just thinks we were going for a walk anyway. But here’s the thing. I told him. I said I was going to do something. And to me that is important. Now don’t get me wrong, I know sometimes no matter how hard you try, follow through can be tricky but I don’t want to live behind excuses. I don’t want my children to think that my word is not worth anything, that their word is not worth anything. Gabriel sat in his stroller patiently the whole time, and we talked about all we saw. It was a great time together. Lucia of course napped ;). And when we finally got there, he couldn’t wait to get up and run and play with the other children. It was a wonderful time for everyone and I got to sit and rest for a minute. Both napped on the walk back and so I had plenty of time to think about this topic. I want to be a mother, a friend, a wife, a woman of character that even in the easiest moments to quit or the moments that may seem minuscule, that I follow through or at least give my all… I want my word to matter and to be considered trustworthy. Now, I may have to just wait a few days before we walk to the park again…But we will do it again ;). You can count on that! As I was talking with some lovey ladies yesterday morning, I was able to share some of the passion that I have for children, for my children and family, and for a little girl half way around the world who I met years ago and still pray for. It was a great opportunity to share and to really feel alive as I shared more of my heart. What had started off as a great morning hit a bit of a rough patch later that day with my precious 6 month old Lucia. She has such a gentle and joyful spirt. But when dealing with the pain of teething, frustration in not being able to sleep, she had a bit of a meltdown. She had no other way to express her struggle except through tears, crying, and the flailing of her arms and legs. She was upset. She was tired. She was in pain. And she didn’t know what to do. I scooped her up and tried to hold her close, but with each passing second she continued to cry, push away, and just fight me. Yet, I continued to hold her close. In the midst of this fit, something clicked, and she realized that I was holding her. At that moment she grabbed my neck, pulled me close, and calmed down. I also remembered the Truth that during my own struggles that I face, my own fits that I throw through change or the unknown, God is always with me. I may try to push away at times, but He’s close. He’s here. No, I’m not talking about martinis although that does sound good…But I’m referring to parenting thoughts right now. I’m a mom of two little ones both under the age of two. It’s a huge responsibility. But they aren’t my focus. They aren’t my everything. Now before anyone starts judging, know that I love them so much and that is why they are not my world. The world does not revolve around them. My children will always know they are loved. It’s a huge responsibility to raise children, to help them learn about their decisions, their personalities, their character, just how special God made them. But instead of letting the huge responsibility consume my every actions, to hold me back from getting out in the world and serving as God has created me to, I’m not holding back. I’m living. I’m living life with children. Guiding my children is more than just discipline (although definitely a part of our guidance)…It is being an example. It is challenging them to see others rather than just being concerned about themselves or their own needs. I love the words, “stir up one another” in this scripture. He doesn’t say learn, develop the habit, pray for or ask for…he says stir. You see, we have goodness in us thanks to God who created us in His image and who lives within us. It’s in us. He’s in us. We just need to stir it up sometimes! Our children come with us as we serve in different countries. They come with us as we do local service projects monthly. We are stirring the goodness and greatness within them allowing them to experience it through our lives and as a family. Hopefully as we talk about love they see, experience, and are a part of living it out. It isn’t always easy. In fact, it’s a lot more work and you never really know the moods they will be in. But I know and believe it is much better for them to get out and see love in action, to be a part of this world even as young as they are, rather than to use them as an excuse as to why we can’t do something. I want them to always know that no matter how young or small, they already have something to share with others. I want to stir them up! Yes, whether you want to fight it or not, Valentines Day is almost here. Some hate this day, while others embrace the hearts, decorations, cards, and chocolates. Some say we should use every day to tell those we love that we love them. Others need a day to prompt them. But what if we saw this time as more than all of this? What if we were missing the whole point? That is what crossed my mind this week as I’ve been writing out scripture every morning and reading various scriptures on Love. “But to you who are listening I say: Love your enemies, do good to those who hate you, bless those who curse you, pray for those who mistreat you. If someone slaps you on one cheek, turn to them the other also. If someone takes your coat, do not withhold your shirt from them. Give to everyone who asks you, and if anyone takes what belongs to you, do not demand it back. Do to others as you would have them do to you. “If you love those who love you, what credit is that to you? Even sinners love those who love them. And if you do good to those who are good to you, what credit is that to you? Even sinners do that. And if you lend to those from whom you expect repayment, what credit is that to you? Even sinners lend to sinners, expecting to be repaid in full. But love your enemies, do good to them, and lend to them without expecting to get anything back. Then your reward will be great, and you will be children of the Most High, because he is kind to the ungrateful and wicked. Be merciful, just as your Father is merciful. What if we saw Cupid’s arrow as more than a love potion for those we already love, and let it penetrate our hearts with forgiveness to those who have wronged us, pierce our expectations and demands, lead us out of our comfort zone to learn what it truly means to Love beyond what society tells us? What if we prayed for those we speak so badly about or judge in our hearts? What if we reached out in kindness and friendship to those we don’t know? What if we were led more in the Spirit rather than confined by our own fears and walls of hurt? We have access to this Love and we have the ability to give it and share it with others…It’s not a love potion, but a choice. There we were…dressed in our Sunday best (or at least the nicest clothes I could find in a hurry this morning) standing up on the stage ready for our children to be dedicated at church today. It was a little hard to hear with the commotion that was to my left…the squirming to get down, the whining to be let go of to run around. And who was that rambunctious little one?…yes, you guessed it. There he was, my little squirmer, Gabriel, trying to get out of Jared’s arms. It obviously was the worst moment to want to go play. I mean how does a 21 month old not understand that this was an important and “quiet” moment? I’ll be honest, I was sweating and wondering if we were going to make it through, but I couldn’t help but laugh at the situation. For one, I had calm little Lucia in my arms, and it was Jared who was trying to contain our lil’ man. But honestly, it’s life. I would have loved for Gabriel to stand their calmly and quietly, but the truth is It just wasn’t going to happen today. So I laughed. You see, Gabriel is THAT child. His energy and voice IS going to radiate through this world. His adventurous and energetic personality IS going to change this world. He’s going to GO when God says Go. He’s going to SPEAK, probably loudly, what God has given Him to say. His life IS going to be filled by the Spirit that nothing is going to contain it. I love my rambunctious little boy. And as a mother, I will guide him and help him make good decisions. He is learning to behave and to listen, but I don’t ever want to break his adventurous Spirit. It’s challenging at times, but God has great plans for him the the beautiful way He was created! Lucia too is our precious daughter. She is developing her own voice, and her sensitivity will help to see the hearts of others, to have compassion for the hurting, and a passion of Love to serve. I love watching her grow and together discovering the beautiful way God will use her to be His hands and feet! I’m so thankful for a community that surrounds us in support and understanding as they join with us to care for and help raise our children! The Power of FEAR is real! If you know my son, you know he is a rambunctious, curious, adventurous 18 month old! He climbs, takes off, wrestles, and just is a sweet boy full of energy. After a small fall he developed a bit of a painful bruise around his shoulder. That is a pain he really hasn’t felt before and of course would prefer never to feel again. And so we noticed that he stopped climbing, became timid when it came to certain activities that might cause him to get hurt again, or run from things that he is unsure of. As parents, we refuse to let fear dictate his life. Unfortunately, accidents can’t be controlled, and avoiding them stops us from learning, from growing, from living….and in some cases from loving. So we challenged and continue to challenge him to change his perspective, to see the opportunities and not be a prisoner of fear and the unknown. We of course want him to be wise, but not limited by or live in fear. And beyond just trying new things, we challenge our children to really see people. When they see a homeless person on the street – we want them to see past the label of drunk, to the heart of the person and their story, and offer help. When they see a police officer – we want them to see past the stories and accounts of police brutality, and see the person who is serving and protecting us with courage, and give respect. When they see a refugee – we want them to see past the labels and fears, and see a person, a brother or sister who has a traumatic story of their own, who is in a country they don’t know, and welcome them. We want them to see people not labels or fears. Now some of you may read this, see the word refugee, and want to debate this perspective. If so, the point of this blog is lost. Because the truth is it isn’t about being right. It isn’t about refugees. It isn’t about terrorists. It isn’t about ISIS (which has already started to control our actions and thoughts). It isn’t even about fear. I’m not even giving it control. It is about people! It’s as simple as that. We may stand alone, but if there is the opportunity to help, to serve, to assist another person, we are going to take it. We choose to look past the debate, past the what-ifs, past the “religions”, past the fear and see the children, the mothers, the fathers, the families in this world that we can and will serve and help. That’s our perspective. That’s how we chose to live. I’m a stay at home mom. And I’ll be honest, I don’t get a lot of recognition. Sometimes I feel invisible. Sometimes I let words from others or lack of appreciation for managing household operations define my value. But, the truth is I’m no Cinderella and am not playing that roll. I’m not the poor invisible woman waiting for someone to save me and call out the value in me. I’m choosing to remember my worth. I’m choosing to thrive in my great responsibility, to remember those moments when Gabriel runs to me and wraps his arms around my neck in the greatest hugs, those moments when Lucia finds peace and comfort in my arms, those moments when the kids are fed and happy and dinner is ready on time, those moments when I’m able to participate in such encouraging activities like MOPS, Come to the Table service projects, and Legacy of Hope Restored activities, those moments where I can experience the mile stone moments of my children. I choose this responsibility. And for me this is the greatest role I have the honor of living out! It may not come with promotions, thanks, or at times rest, but I know who I am and that I’m giving 110% in all that I do for our children and our family…and for generations to come. I’m no Cinderella… I am a woman who is passionate, full of love, and absolutely blessed to be a stay at home mom. My value is in He who is in me and the Life and Love I live and give! May my work daily bring God glory and advance His Kingdom! I’m not looking for that glass slipper…I’ve got my kingdom and know that my hands, my heart, my life are being used to share His Love! There’s no better Life to Live! Okay, so maybe shedding a tear is acceptable. Let’s be honest. It’s coffee with french vanilla creamer, a little piece of heaven in a cup. That’s how this morning started. Well, actually it started earlier with 1 baby and 1 toddler awake at 5:30am! Therefore, coffee is needed! As I rolled, literally rolled, out of bed I thought to myself how productive this day would be since it was starting so early. Kids fed, coffee made, Daniel Tiger’s Neighborhood playing…success. I grabbed my computer, to do list, and binder of information and got ready to get things done. But anyone who has raised a boy knows that an 18 month little boy has different plans. And papers, computers, and coffee cups seem more appealing than any car, block, or toy that is nearby. Can you see where this is going? Coffee was spilled all over my papers (If my husband is reading this, know that nothing in our house was stained or ruined in this incident ;). Part of me wanted to cry because my papers were now brown…but most of all I wanted to cry because there went my much needed, hot, delicious, cup of coffee. So why write about such a insignificant event? Because the truth is, I could have lost it. I’m exhausted, trying to focus, and trying to have a moment to enjoy my coffee. But that wasn’t going to happen. Now I’m using valuable time to clean up a small mess and make another cup of coffee. I could have easily lost it. But in this moment I looked at my son, took a breath, and told him “no”… AND firmly reminded him of all things that are not his toys AND reminded myself how small this really is! Isn’t it funny how we can make such big things, react in such anger, and get upset over such small incidents or accidents, and yet at the same time ignore, de-emphasize, or not even notice all the small wonderful blessings in our life? My coffee may have spilled onto my papers, but it was an accident, made by an 18 month old who is learning to explore, who wants to play, who is my precious son that I wouldn’t trade for anything. 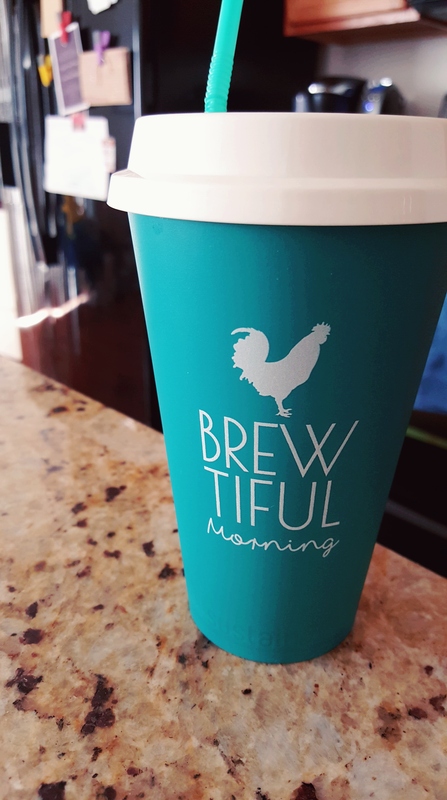 What if we stopped crying over spilled coffee, and instead take a breath, clean up the mess, and see the bigger picture…the Truth, that with or without coffee this morning…I AM BLESSED. Now for that cup of coffee…. I enjoy football! And I was definitely excited to be able to watch a bit of the Gridiron Gang this morning. If you haven’t seen it, I recommend it. It’s not the best acting, but the message behind it still makes me tear up. It’s about Unity, being a Team, no matter our differences and helping each other be better. You might think that’s a random thought, from a simple movie, that I just shared with you this morning. But, I sit here with a lot on my mind. You see, my family and I just moved back to the States from Colombia. It’s been 6 weeks since we arrived and we have had to hit the ground running. It hasn’t been easy all the time, trying to find a place to live, my husband finding work, and preparing for the arrival of our little girl in less than a week and a half, all while caring for our 17 month old and working on strengthening and nurturing our own marriage. The other night I could feel the weight on my husband’s shoulders as he works diligently to provide and care for us. I, like many of us, have felt overwhelmed, in over our heads, and just unprepared for what we are facing. But in the midst of it all, I can’t help but have a heart full of thanks for community. In a world that continues to try to create separation among us all, to be against one another rather than for one another, to push people down so others can rise, I AM BLESSED WITH COMMUNITY. First, my husband and I are a team. Sometimes it feels as those we disagree a lot, but in the thick of it all, no matter what we face, I know we will continue to stand side by side and face the world together. I know, together, we will raise our children helping them to be the man and woman God created them to be, to protect them, encourage them, and challenge them. And as we continue to transition back to life here in the States and our growing family, our family and friends have surrounded us in support, love, and encouragement. We aren’t alone. We are never alone. And sometimes, that’s all we need to remember. So thank you for opening your eyes to the person next to you even though they may be different than you, have different passions, interests, skills, etc. Thank you for making time out of your busy schedule for that one person who just needs encouragement or quality time with a good friend. Thank you for reaching out of your comfort zone to meet someone new, to welcome them into your life, to realize that we truly are ONE body, ONE community. Let us come together as ONE for that is when ONE truly is the GREATEST number.